Marc Andreessen joined Barry Ritholtz for the Masters in Business episode on May 19, 2017. At the end of the interview Marc shared a few of his favorite books. To find out what Marc’s favorite books are, just keep reading the transcript below. Barry Ritholtz: The question I get from listeners more than anyone, ask your guests what their favorite books are. Marc Andreessen: Favorite books… So I have three quick nominations, and I’m gonna getting the hook here. “Poor Charlie’s Almanack”, the compendium of Charlie Munger’s speeches I think is tremendous. “Extreme Ownership” has been a favorite recent book by a guy named Jocko Willink, he’s a former Navy seal commander. MA: “Extreme Ownership”, one of the best books on leadership I’ve ever read and a tremendous, by the way, war story book as well. And then, what is the… man, there are so many. There is a brand new book by Robert Sapolsky I just started on human behavior, it’s sort of his magnum opus on human behavior. He’s the great evolutionary theorist, and so that would probably be the third one. That’s the new one but it looks very exciting. Disclosure: I am not receiving any compensation for any of the links provided. I have no business relationship with any company or individual mentioned in this article. Well-known investor Martin J. Whitman has published a book called Dear Fellow Shareholders that is publicly available via his website. Check it out here. Disclosure: I am not receiving any compensation for providing this link. 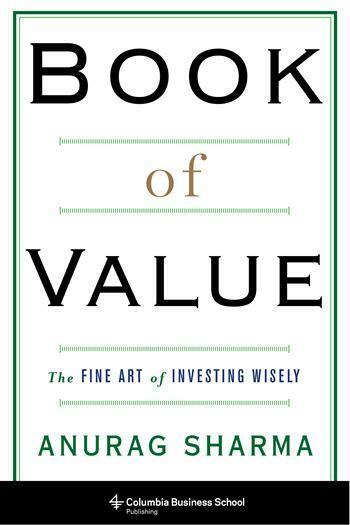 Anurag Sharma is the author of Book of Value: The Fine Art of Investing Wisely published in September 2016. Book of value provides both theoretical and philosophical aspects relevant for an investor conducting a business analysis and deciding on whether or not to invest in a certain business. The core thesis of the book is that fundamental analysis – both quantitative and qualitative – is useful when it comes to investing. Further, the approach of investing should be considered as a problem of choice, not as a mathematical problem. In the author’s view “wise investing” is based on carefully made choices based on sound intelligent analysis of facts and circumstances. Every investor then must learn to make a habit out of making good choices. Something that is easier said than done since undoing oneself from bad habits, even changing good ones, is rather complicated to accomplish in practice. But having a robust framework will at least help you on the way. Book of Value provides a framework for the reader to use as a basis for developing a way of thinking – about financial markets, business analysis, and investing – and of casting investing as a problem of choice, and then drawing upon a broad range of disciplines to improve the quality of choice. Recasting investing as a problem of choice will require professional judgement from the investor, something that this book attempts to provide a basis for. We are all prone to systematic biases to some extent which could make our decision-making process easily corrupted. Confirmation bias and loss-aversion are only two examples that could lead to irrationality and in the end, permanent loss of capital. By incorporating these behavioural economical aspects into the framework – even though they are pretty hard to manage many times – we increase the odds of 1) not forgetting them to start with and 2) managing them as best as we can as part of our investment process. Building upon this the author sets out to build a framework for investing based on the principle of negation, i.e., a systematic approach to disconfirmation. The systematic approach to business analysis and investing is essential here. Walmart is used as a case study throughout the book and the author applies the different concepts for analysis in a coherent way, from valuation to analysis of stability and strength on to qualitative analysis. This will make it possible for the reader to conduct the same analytical process applied to other businesses. By setting up an investment thesis the analysis is then carried out with the aim of negation, that is, to disconfirm the thesis (for example, current market price = value). The first step is the quantitative analysis and to look at market price, valuation, stability of earning power and cash flows and returns, financial strength etc. If the investment thesis still stands and is not refuted from the qualitative analysis, the next step is to move on to the qualitative analysis and looking at the business itself, the industry it’s in, and any trends etc. The question then is whether we are going to be able to refute the investment thesis from the conclusions drawn based upon our qualitative analysis. The last section of the book provides some discussion and thinking about how to set up a stock portfolio in a proper way. Also, the author reviews Berkshire Hathaway’s stock portfolio in the most recent years and also reviews the IBM investment to see whether this was a reasonable investment at the time it took place and what it looks like at the moment. This book could have been much longer than it actually is, something that applies to a lot of other books as well. Some parts are a bit thin but the reader most likely gets the basic principles and concepts needed to be able to see the framework as a whole. When reading the book you can highlight any parts that you want to learn more about. For example when reading about what makes a good or great business you might want to consider reading other books on the same subject to deepen your understanding even further (for example in this case you could read Competition Demystified, Competitive Strategy, The Little Book That Builds Wealth, Strategic Logic, just to name a few). The same goes for the part about valuation and how to value a business. To conclude, the Book of Value is clearly a good book, and definitely a book worth reading. It might even be a great book, but that I leave for you to find out. Disclosure: Book of Value: The Fine Art of Investing Wisely (Kindle version) was purchased by Hurricane Capital from Amazon at the retail price. John Bogle is someone that I admire deeply. Maybe because he’s old, have been around for some time and acquired a lot of wisdom along the way. Or maybe it’s just that he reminds me of my grandpa that isn’t around any longer. I especially favour the Masters in Business interview where Ritholtz talks to Bogle, an interview I must have listened to at least three or four times by now. Such a great episode. If you haven’t listened to it yet, my advice is that you go check it out. You won’t regret it. The Little Book series contains 16 books covering different topics related to investing. The Little Book of Common Sense Investing: The Only Way to Guarantee Your Fair Share of Stock Market Returns is one of these books. The real formula for investment success is to own the entire market, while significantly minimizing the costs of financial intermediation. That’s what index investing is all about. And that’s what this book is all about. See here for an excerpt of chapter one “A Parable: The Gotrocks Family” where you will find the story about the Gotrocks Family and their fortunes and mis-fortunes in their investment (or speculation) endeavours. The underlying theme of The Little Book of Common Sense Investing is how you, as an investor, make investing a winner’s game by investing regularly with a long-term focus in mind in a low-cost index fund–without caring about beating the market–and as a result most likely will end up with better total returns then the returns generated by maybe 80 or 90 percent of the professional active money managers. The Little Book of Common Sense Investing will serve as your guide, with Bogle as your mentor, on how to incorporate Bogle’s proven low-cost index fund investment strategy. The reader is introduced to some historical background–efficient markets, value investing–and also on what experts and academics have to say about index investing. Bogle begins the book with the story about the Gotrocks Family. The essence in this story is that the more they trade, the more they loose, and the more the so-called Helpers gain. With a focus on the fundamental value drivers–dividends and earnings growth–and by providing insights about the impacts of transaction activity, costs, taxes and inflation, Bogle lays out his thesis in favour for why the layman should buy a low-cost index fund and hold it forever. The moral of the [Gotrocks] story, then, is that successful investing is about owning businesses and reaping the huge rewards provided by the dividends and earnings growth of our nation’s—and, for that matter, the world’s—corporations. The higher the level of their investment activity, the greater the cost of financial intermediation and taxes, the less the net return that the business owners as a group receive. The lower the costs that investors as a group incur, the higher rewards that they reap. So to realize the winning returns generated by businesses over the long term, the intelligent investor will minimize to the bare bones the costs of financial intermediation. That’s what common sense tells us. That’s what indexing is all about. And that’s what this book is all about. As an example Bogle provides some data for the period of 1900-2005. During these years compounding for 106 years produced accumulations where each dollar initially invested in 1900 at an investment return of 9.5 percent grew by the close of 2005 to $15,062. Pretty darn good. From this we can clearly see the power of compounding returns. In chapter two–Rational Exuberance–Bogle discusses the historical stock market return and its different components. This is one of the chapters in the book that I enjoyed the most. The total market return equals investment return plus speculative return. Investment return consists of dividends and earnings growth. Speculative return is measured as the change in the price-to-earnings ratio. The average annual total return (1900-2005) on stocks was 9.6 percent, virtually identical to the investment return of 9.5 percent—4.5 percent from dividend yield and 5 percent from earnings growth. The difference of 0.1 percent per year arose from what Bogle calls speculative return, i.e., change in market or investor sentiment in a certain time period and measured as the change in the price-to-earnings ratio from the start of the period to the end of it. This dual nature of returns is reflected when we look at stock market returns over the decades. Using Keynes’s idea, I divide stock market returns into two parts: (1) Investment Return (enterprise), consisting of the initial dividend yield on stocks plus their subsequent earnings growth, which together form the essence of what we call “intrinsic value”; and (2) Speculative Return, the impact of changing price/earnings multiples on stock prices. 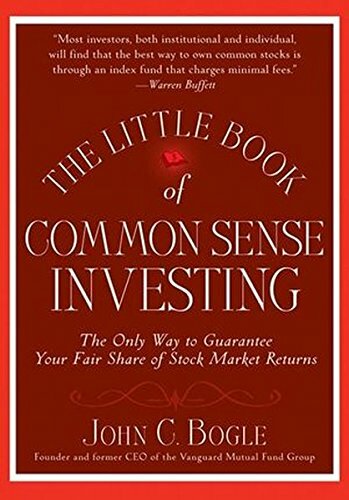 The Little Book of Common Sense Investing is a great book providing great insights about investing and what drives return (dividends and earnings growth) together with a thorough discussion about historical market returns, what to think about when investing (costs, taxes, inflation etc.) and why a low-cost index fund is the best alternative for the layman when it comes to investing for the long-term. I highly recommend this book as a useful guide and reference when it comes to thinking about the stock market and investing in funds. As Charlie Munger once said:“It’s not supposed to be easy. Anyone who finds it easy is stupid.” I think Bogle lays out a trustworthy case in support of this statement. For anyone investing on their own, the need of a benchmark to compare investment returns against is critical. This book truly serves as a great guide on how to think of and what different kinds of benchmarks and stock market index to look for. And also whether you should just find yourself a low-cost index fund to invest your savings into. Chapter Three: Cast Your Lot with Business. Chapter Four: How Most Investors Turn a Winner’s Game into a Loser’s Game. Chapter Five: The Grand Illusion. Chapter Six: Taxes Are Costs, Too. Chapter Seven: When the Good Times No Longer Roll. Chapter Eight: Selecting Long-Term Winners. Chapter Nine: Yesterday’s Winners, Tomorrow’s Losers. Chapter Ten: Seeking Advice to Select Funds? Chapter Eleven: Focus on the Lowest-Cost Funds. Chapter Twelve: Profit from the Majesty of Simplicity. Chapter Thirteen: Bond Funds and Money Market Funds. Chapter Fourteen: Index Funds That Promise to Beat the Market. Chapter Fifteen: The Exchange Traded Fund. 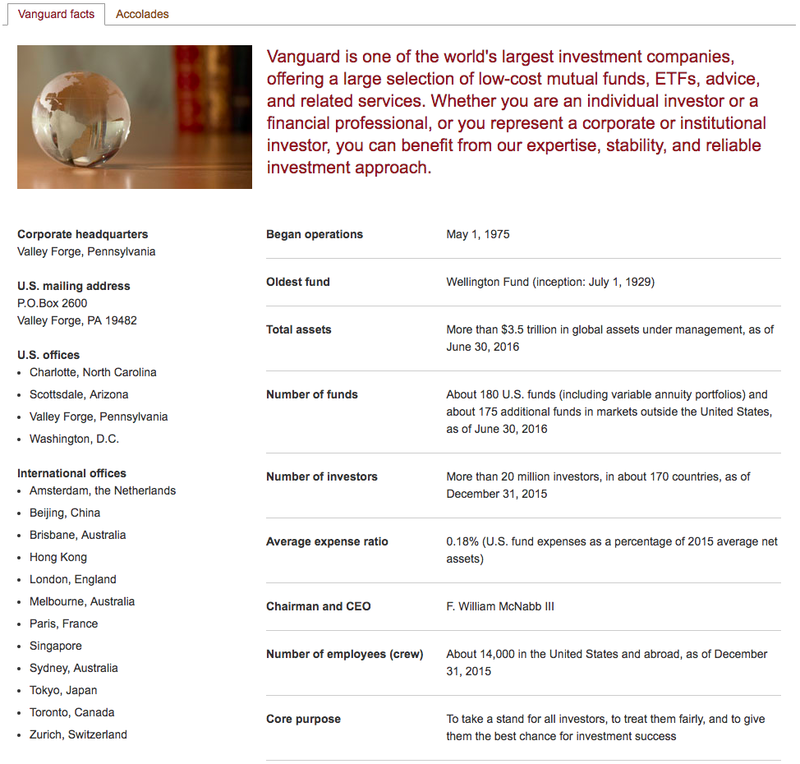 Chapter Sixteen: What Would Benjamin Graham Have Thought about Indexing? Chapter Eighteen: What Should I Do Now? Let’s end this post with three more insightful quotes, one from Charlie Munger and the other two from Warren Buffett. The general systems of money management [today] require people to pretend to do something they can’t do and like something they don’t. [It’s] a funny business because on a net basis, the whole investment management business together gives no value added to all buyers combined. That’s the way it has to work. Mutual funds charge two percent per year and then brokers switch people between funds, costing another three to four percentage points. The poor guy in the general public is getting a terrible product from the professionals. I think it’s disgusting. It’s much better to be part of a system that delivers value to the people who buy the product. Disclosure: The Little Book of Common Sense Investing was purchased by Hurricane Capital from Amazon at the retail price. If you want me to review a book, please let me know. 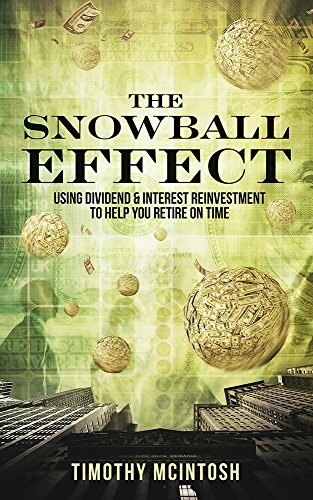 The introduction to The Snowball Effect: Using Dividend & Interest Reinvestment to Help You Retire on Time written by Timothy McIntosh starts with a well-known quote from Warren Buffett about how to approach investing and making money in the stock market. This quote then serves as a thread throughout the book as the different parts about dividend investing are accounted for. The main theme in The Snowball Effect is how dividends should be considered by any long-term investor as a crucial part of the total returns. And, for sure, wouldn’t it be great if you knew that you’d have recurring dividends coming into to your account, certainly if the stock market were to close down for some time (hopefully it won’t). The Snowball Effect starts off with a discussion about the different secular bear markets that’s taken place from 1906 up until 2011. And I’m pretty sure that many of us are familiar with the mantra “stocks always go up.” A statement that, according to the author himself, is “a falsehood.” To back his view up the author lays out some interesting statistics that also serves as a great summary of financial stock market history. The different secular bear markets up for an review by the author are the ones occurring in 1906-1924, 1929-1954, 1966-1982, and 2000-2011. Except for the historical lessons in this book, I also enjoyed all the data provided regularly throughout about dividend yields and stock market returns, just to give a few examples. Also, there’s an interesting table in the midst of the book summing up the best and worst single days in the DOW. A table that in hindsight serves as a fascinating read and reminder of Mr. Markets presence throughout the years. Another theme is the collection and reinvestment of dividends back into the stock market to increase the future dividend power of your stock portfolio. A great way enabling the investor to (hopefully) collect stable and growing cash returns in the future, especially if the stock market enters into another secular bear market. The author provides the reader with some checks to be used when picking the best dividends stocks, what to look for, as well as some guidance on market timing (even though timing is a tricky part of it all as we know when it comes to investing). If you apply a price-to-dividend ratio analysis to stocks you are thinking of purchasing or already own, you can purchase, or reinvest, cash at optimal points in time. If Pepsi’s share price falls and the yield nears 4 percent, the investor could then time her purchases in the most efficient manner and gain the most shares of Pepsi stock possible. Following this type of market timing will allow an investor to collect more share of a company’s stock at the times when it is most undervalued. The reader also gets a chapter devoted to the covered-call strategy in dividend investing, and a chapter with a discussion of what makes the best investment area when it comes to dividends (micro-cap or larger-cap dividend firms). To sum up, this is a book well worth reading. With the important overall topic about dividends (as one of the factors in the calculation of the total return) the book’s building blocks (see table of content below) make this a great read. Disclosure: I received the book in this post without having to pay a cent. Regardless, as in any case when I haven’t received something, I only make recommendations I personally believe will be of benefit to my fellow readers. I cannot tell for sure whether the fact that I received the book for free made me write this post, i.e., reciprocation tendency. I sincerely hope that I would have written the same words in a situation where I had bought the book myself. Except for receiving the book for free (and the stamps on the envelope) I have not, and will not, be compensated in any way for any further writings etc. If you want me to review a book, please let me know. This summer I received a book from someone I do not personally know, have never met in person, or even talked to before for that matter. A familiar name though, and I was very surprised to say the least and also very grateful. Since there’s nothing better than a great book, a gift in the form of a great book must clearly be considered a great gift. Anyway, the book that I’m talking about here is All I Want To Know Is Where I’m Going To Die So I’ll Never Go There: Buffett & Munger – A Study in Simplicity and Uncommon, Common Sense, written by Peter Bevelin. Peter is also the author of a few other well-known books, namely Seeking Wisdom: From Darwin to Munger, A Few Lessons for Investors and Managers From Warren Buffett, and A Few Lessons from Sherlock Holmes. Having disclosed these material circumstances I hope each and everyone reading this piece, by now, should be well aware of any bias on my side due to the fact that I received the book for free. Beyond this, also remember (how could anyone forget…) that I suffer from a serious degree of what is usually called the Buffett/Munger bias. For repeat visitors and readers of this blog this isn’t any surprise. Except for what has already been told, there’s no more significant matters to disclose for today, so let’s have a look at what this book is all about. Enjoy. All I Want To Know is a book about a fictitious character, the Seeker, visiting the Library of Wisdom where he (or she) meets the Librarian, also a fictitious character, together with Warren Buffett and Charlie Munger. The Seeker has had his fair share of trouble and misery so far in his life and visits the Library of Wisdom with the intent to learn some basics about how to make better decisions, or rather, how to avoid making stupid ones. Bevelin’s most recent book is a bit different compared to most other books, at least the book that I have come across earlier on. This is mostly due to the way it is structured; as an ongoing discussion and dialogue full of quotations from Buffett and Munger, and also from other, both known and unknown, people. In total we’re talking about 1827 quotes throughout the book. An exercise requiring a lot of hours, as well as some patience, to complete. Thus, what we have here is sort of an encyclopedia of quotes, arranged and all put together in different parts as a long talk with the full intent of sharing wisdom. In short, nothing but impressing. The overall theme of the different conversations is: “All I want to know is where I’m going to die so I’ll never go there,” something Charlie Munger has been quoted as saying. The conversations cover a few different areas, not just business and investing but also decision-making in general. When it comes to business and investing the Seeker gets to listen and learn about what doesn’t and what does work, and also about different filters and rules that could be of benefit to the shrewd business analyst and investor. If you’re already familiar with a lot of the stuff that’s been written over the years about Buffett and Munger there’s not much news here in the quotes themselves. Although I’m pretty sure that you’ll manage to find some quotes that you haven’t read before. This is, in my opinion not a bad thing, not at all, since all great things are worth rereading. But if you have not dug into the Buffett/Munger treasure throve yet, All I Want To Know offers a great starting point on the journey that lies ahead of you. Either way, together with the way that Bevelin has chosen to structure the book I am most certain that it will make for an interesting read for pretty much everyone. It could be said though, without embarrassment, that the book itself is a bit “heavy,” this due to the ongoing cavalcade of quotations with each page full of great discussions, insight and wisdom. But there’s no need to stress here, just keep calm and keep on reading and you’ll do just fine. As Walter Schloss once said; “Investing should be fun and challenging, not stressful and worrying.” Remember, the same applies to reading as well. I highly recommend All I Want To Know to everyone with an interest in business analysis and investing. What we have here is nothing but a great book filled with numerous examples one should try to steer away from as well as insights about how to think about things, or how not to think about things. It’s a great book, and deserves to be read first once and then reread once or twice. Disclosure: I received the book in this post without having to pay a cent. Regardless, as in any case when I haven’t received something, I only make recommendations I personally believe will be of benefit to my fellow readers. I cannot tell for sure whether the fact that I received the book for free made me write this post, i.e., reciprocation tendency. I sincerely hope that I would have written the same words in a situation where I had bought the book myself. Except for receiving the book for free (and the stamps on the envelope) I have not, and will not, be compensated in any way for any further writings etc.